Improper Witness Vouching | Was This Prosecutor Vouching For His Witness? 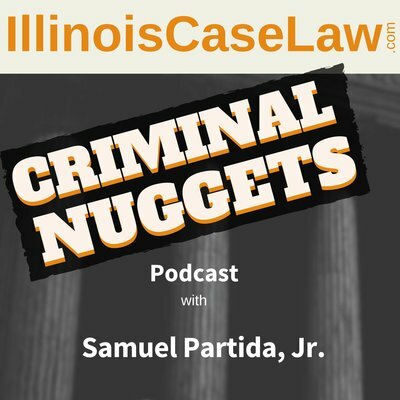 April 16, 2015 By Samuel Partida, Jr.
Was there improper witness vouching? This was the question after the prosecutor told the jury he “checked out” his witness’s story. See People v. Williams, 2015 IL App (1st) 122745 (03/21/2015). As a prosecutor, I was always taught never say the word “I” in closing argument. Any references to my personal beliefs or to the State’s Attorney’s believes were off limits. “Don’t tell them what you think, explain to them what the evidence shows!” – This is more or less what I was told as a prosecutor learning the trade of jury trial work. At first, I was never really told exactly why this was a rule. Later, I figured out that it can be reversible error if the first person is used in the wrong way! That is all I needed to know in order to stay away from the first person “I”. What is Improper Witness Vouching? So, what’s the big deal with telling the jury how you really feel? Well, the problem comes into play when an attorney suggests or tells the jury that they should believe their witness because the attorney believes the witness. This is considered fundamental error because it robs the jury of their primary role as trier of the facts. To be clear, an attorney vouching for the credibility of her witness is a no-no both for prosecutors and defense attorneys. I would suggest that it leads to greater error and a greater chance for fundamental unfairness when the State does it. When a defense attorney tries to vouch for her witness it simply is not that effective. It doesn’t work! And it may actually hurt the defense. But when the State does it, it is a different story. You see, the a prosecutor has the power of her office behind her. Imagine if Saul Goodman was standing in front of a jury explaining that he personally believed in his client’s veracity. “Ineffective” is the kindest term that comes to mind. But a prosecutor is an advocate for the State, for law enforcement, and for justice (if you buy into that line). An unknown, even young, attorney representing the People is the spokesman for the government. That advocate automatically has a certain prestige that a defense attorney normally cannot match. So let's look at what we got today. We begin with a drive-by-shooting in Chicago. There is a gang war going on and the State has a “flipper” on the stand. A “flipper”, of course, is a co-defendant who has turned state’s evidence and testifies against his codefendants. The witness has “flipped” sides, as they say. Flipper says he was driving Defendant and another passenger in a car. When the rival gang member was seen, Defendant and the rears seat passenger opened fire. According to Flipper, Defendant was sitting in the front seat passenger's seat. Defendant testified that yea, he was in the car. But he insisted that he was high on cannabis and alcohol. He was asleep in the front seat when he was awoken by gunfire. According to Defendant, the rear seat passenger and the Flipper were the shooters. Defendant said that the Flipper reached across him with a gun and fired through the passenger side window. It was a classic “he said-he said.” Thus, it was a close case. All the car passengers had motive because they were all in the same gang at war with the rival gang that was shot at. The gun, however, was bought by a relative of the Flipper. Additionally, Flipper had been shot in the past by the members of the targeted gang. So maybe the flipper had a bit more motive for the shooting. “When a gang member comes before us and is charged with an offense, we don’t just take everything he says for truth immediately, we check it out. And that’s why in January 2010 when [The Flipper] came over to my office and spoke to me with his attorney and I was with the gang specialist, we [took] everything he said and we checked it out, * * * We go over it and we get records from the phone companies and that’s why we go over and we go to the FBI and say help us with this, tell us what happened here, * * * We corroborate. We don’t just put– and take the word of anyone….we check it out.” ¶ 9. So, it was not exactly vouching like I first talked about. Did this line of argument constitute any kind of improper vouching? Generally, there is nothing wrong with supporting your witness and advocating for their credibility. A popular, and quite effective line of argument, often made by prosecutors in support of a questionable witness directly comments on the unsavory aspects of the witness. This is usually where all the corroborating evidence is then discussed. This is the part of the argument that involves adding up all the bits of admitted evidence. It is only admitted evidence that can be used to support the credibility of a witness. But Did This Prosecutor Commit Error By Vouching for His Witness? Anyways, back to our story here. Sounds like the prosecutor was close to committing error but did he? “The prosecutor's vouching for the credibility of witnesses *** pose[s] two dangers: [(1)] such comments can convey the impression that evidence not presented to the jury, but known to the prosecutor, supports the charges against the defendant and can thus jeopardize the defendant's right to be tried solely on the basis of the evidence presented to the jury; and [(2)] the prosecutor's opinion carries with it the imprimatur of the Government and may induce the jury to trust the Government's judgment rather than its own view of the evidence.” People v. Townsend, 136 Ill. App. 3d 385, 402 (1985) (quoting United States v. Young, 470 U.S. 1, 18-19 (1985)). ¶ 13. The second point is the more familiar one I already discussed, but the first point here is also very important. The first point is saying that the problem with the “believe him because I do” argument is that it also tends to imply that there is other compelling evidence out there that supports the credibility of the witness. Obviously, that is a huge problem. If the evidence has not been admitted then it can’t be used or argued in closing statements. Any inference that there is corroborating, yet not admitted, evidence is a big taboo. It is just another version of “trust me, he is guilty.” Can’t do that. With this in mind, it is much easier to see that the prosecutor, committed error with his argument. “We checked it out” combined with the references to the FBI suggested there were other reasons to believe this guy. These other reasons, if they existed, were never admitted in the trial. “The message that the prosecutor sent to the jury here suggested that the State's Attorney would not put an untruthful witness on the stand. That goes even further than the prosecutor's opinion. The prosecutor explicitly told the jury that [the flipper’s] credibility had already been assessed before he took the stand. The prosecutor urged the jury to believe [their witness] over defendant because of the government's verification of [their witness’s] version of events.” ¶ 17. I got to tell you that this other prong with improper vouching was not at all at the forefront of my mind. But after this case, it is another thing to be on the look out for during closing arguments. This was a close case so the trial court's judgment was reversed, defendant's convictions were vacated, and the cause was remanded for a new murder trial. Ouch.